You can’t help but feel totally at ease and uplifted when you come across a project as remarkable as this one. 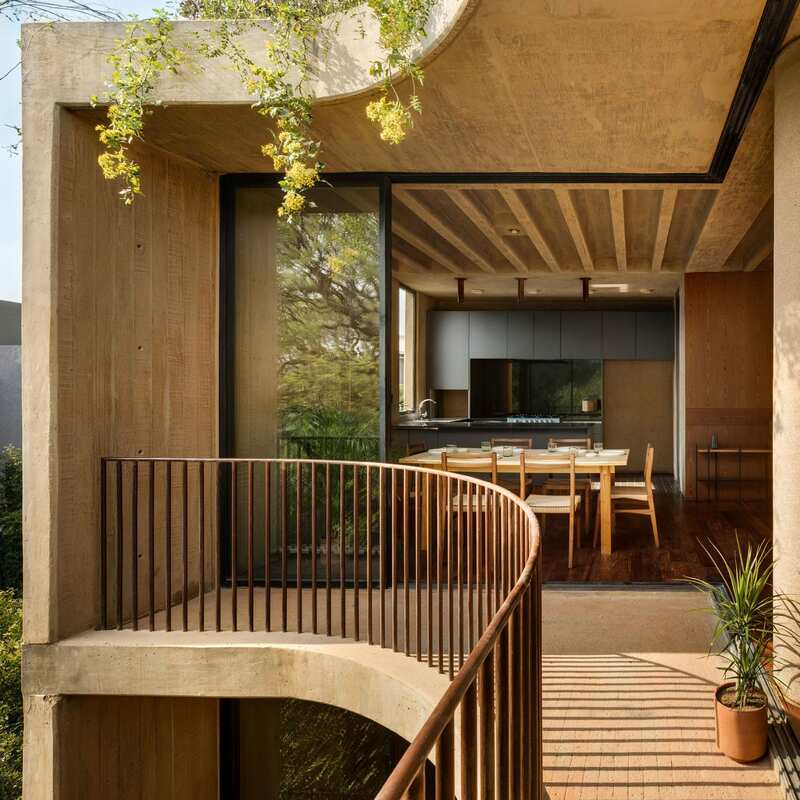 This terracotta-toned dream located in Mexico City’s Colonia del Valle district is the work of Taller Hector Barroso who brought us Entrepinos Housing comprising of five monolithic holiday homes surrounded by forest. For this development entitled LC710, the architects had far less room to play with and were faced with the added challenge of a long and narrow site. 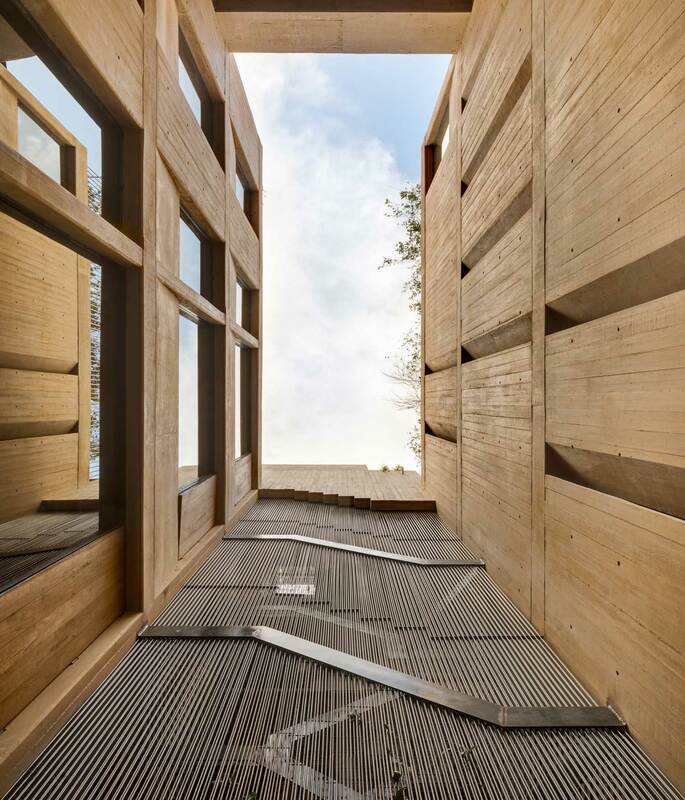 The building contains six apartments over four stories vertically and three volumes horizontally. 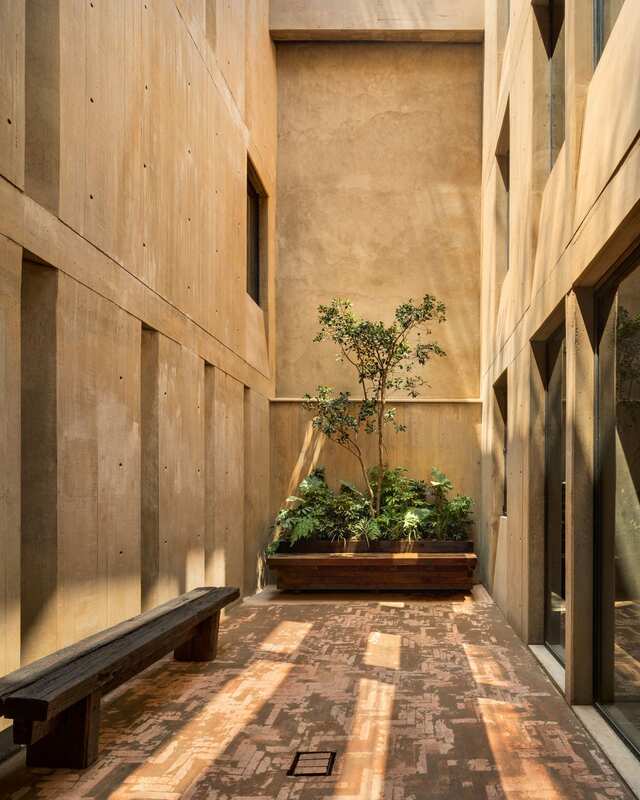 Open-air courtyards separate the volumes, allowing each building to breathe. 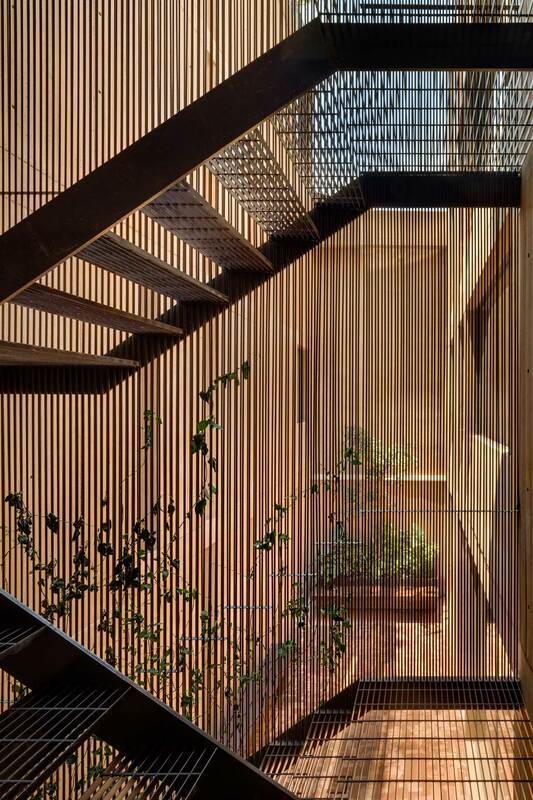 Staircases that bridge these voids are partitioned with thin steel members or are monolithic with only their bottom profiles apparent – a lovely design touch that’s become the studio’s signature. 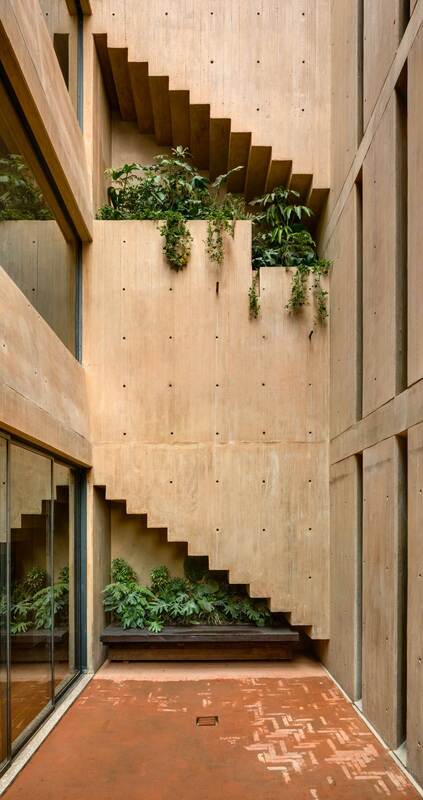 The first volume houses communal spaces for four apartments. 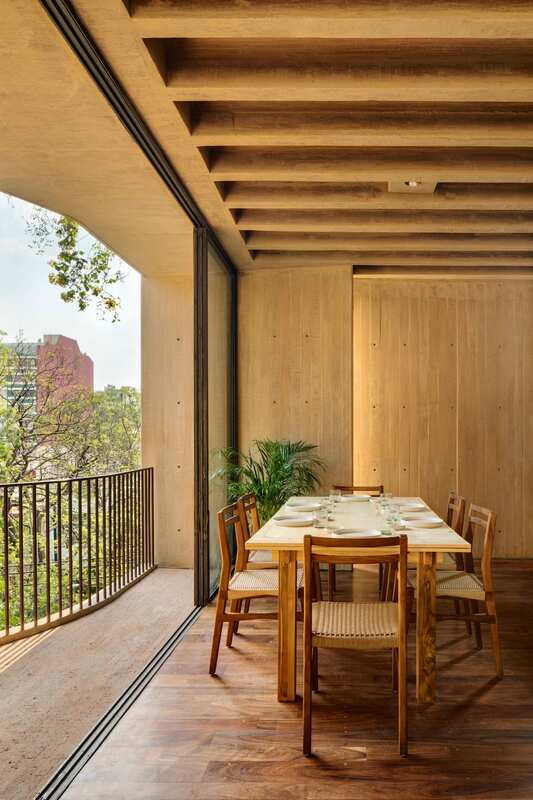 The kitchen, living and dining rooms are arranged around sweeping curved balconies that frame large street trees. The second volume is more introspective and closed off containing three bedrooms and two bathrooms. The last two apartments are arranged over two levels in the third volume each enjoying views away from the street edge. 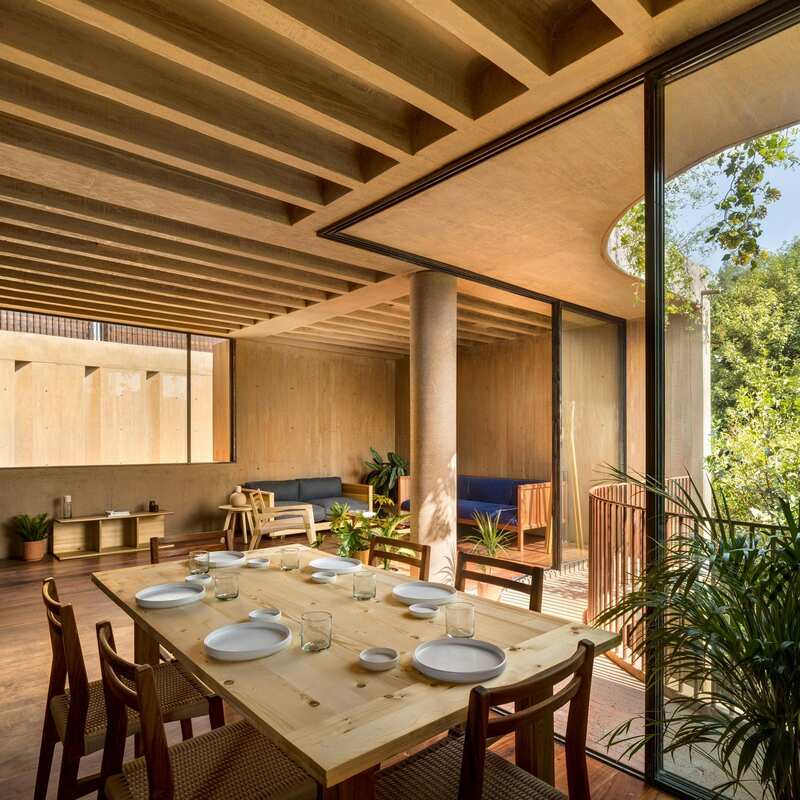 The clever spatial arrangement enables each apartment to enjoy privacy, outdoor space and the same nourishing warmth with light pouring into internal spaces. 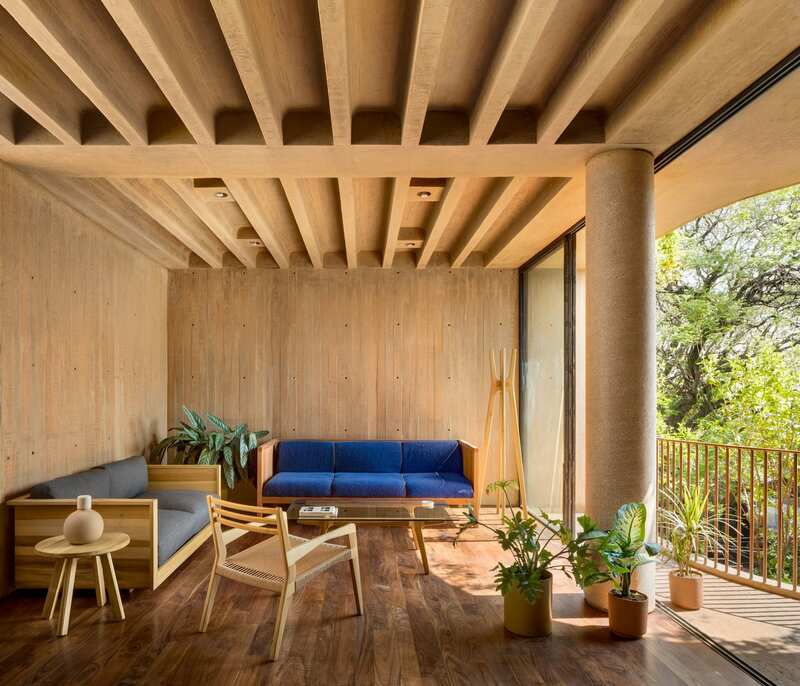 Related: Entrepinos Housing in Valle de Bravo, Mexico by Taller Hector Barroso. 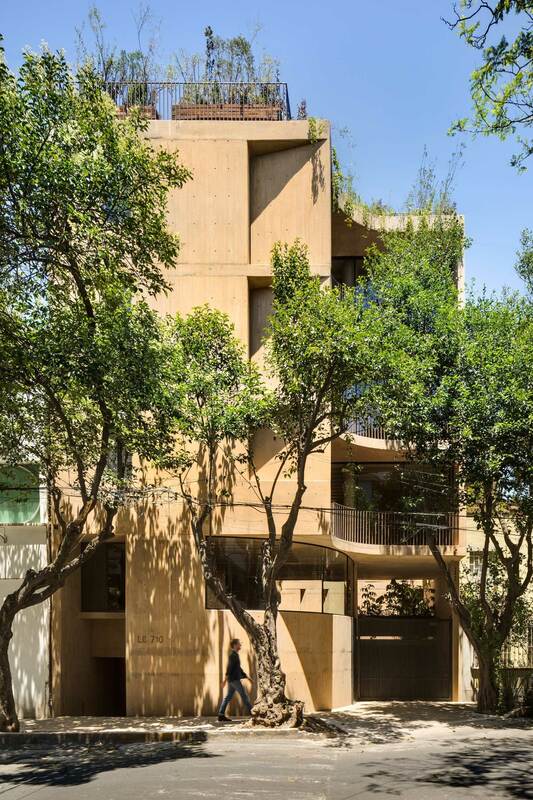 The post Exceptional Concrete Apartment Building in Mexico City by Taller Hector Barroso. appeared first on Yellowtrace.